I'm pretty sure Jim's red individual sugar bowl is the same as the one in the photo here, middle row third from right. It would have been either Kat & Co. or I who photographed it. That little pot shape is approx the same size as the little Cook & Serve mustard pot and the lids are almost interchangeable (sizewise), but not quite. I often see odd pairings. The lid is the same style as the 1615-1620 teapots etc. To me the one in the trademe ad looks like a different shape again. Thanks for asking for measurements. 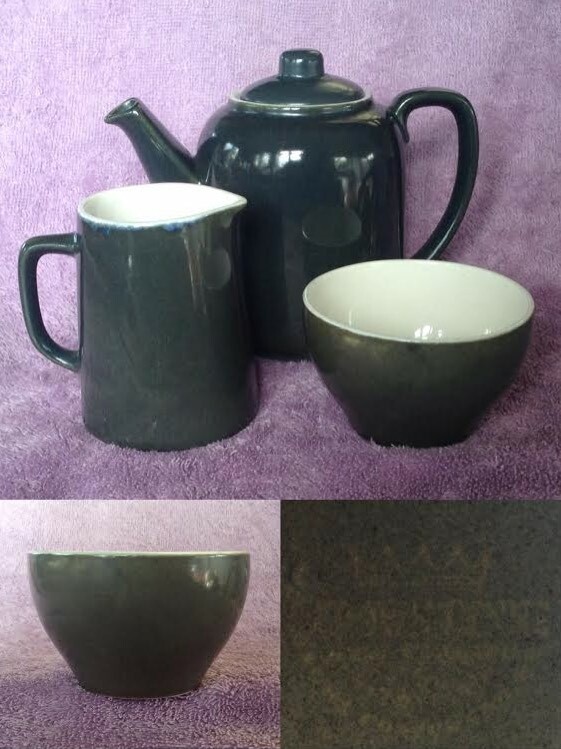 I'm curious about the "greenstone glaze" which looks similar (but not necessarily identical) to the Expo70 glaze. 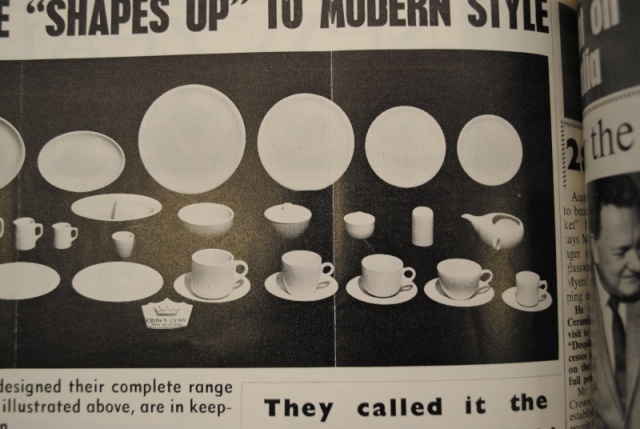 The 1615-1620 range of pots must have had sugar and milk to match as they were used as hotelware. I think I said elsewhere that I assumed the wee milk jug or creamer, 1621 I think it is, was created for this individual tea set. 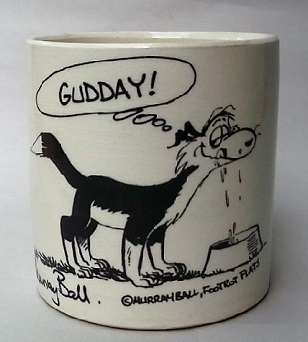 I keep bumping into a description and sketch for such a sugar pot in the gallery and will have a look for it now. Here's the shape from the gallery. I haven't given it much thought yet. Kat & Co. wrote: This is a Mustard pot Jim has in his collection, minus lid, my neighbour has one same with a lid. I had been wondering where this fits in. In review I see that Jim's pot has a rim/lip/gallery to carry the lid so Jim's will be the one in the old photo. 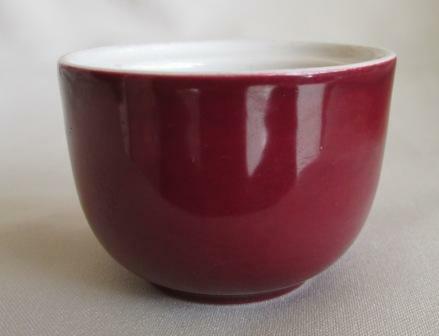 The 3614 has no rim and the height 1 7/8 inches approximates the 45 of the trademe sugar bowls. The drawing does not appear to be a perfect match to my eye but I'm nevertheless still thinking that the advertised sugars will be 3614s, at which point maybe someone should buy one or at least ask to use a photo. I had thoughts of buying the green one so I may just do that. Okay, I did buy now on the "greenstone" bowl! They also have a blue one listed. I probably won't stretch to the second one, Ev (although I do have a blue teapot and milk jug to go with it). I'm hoping the green colour does actually match the Expo wares as I have the individual teapot and a smallish jug in the "Aquamarine" Expo glaze. Still need to find a shape number for Jim's sugar/mustard, and the lid. Yes we don't have a number sorted for that little lidded piece yet, though I know we have discussed it several times. Edits to remove pics now that this has been sorted. Ev, totally with you on Jim's mustard pot. And this sugar bowl will be the 3614. I can confirm that it is indeed vitrified, and it is a glaze match for my 1619 water pot and 715-01 creamer. 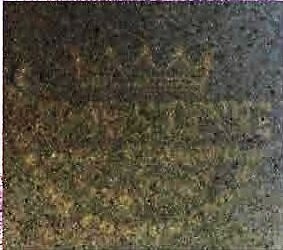 Further to that, it is identified by a barely legible vit backstamp as "Greenstone", a stamp I have not seen before on any of my "greenstone ware" (Chateau Range). The distinction between Chateau and Greenstone MAY be that the tea service has white insides and the ovenware is green all over. The 47mm height puts it a lot closer to the 1 7/8 from the sketch of the 3614 than the seller's measurement of 45mm. I should have bought the blue as well to go with my Cook & Serve. This shape must be pretty rare. Oh, I see you did buy it, Ev. More fool me. Yes I have won the blue one and am looking forward to getting it in my hot little hands. Though it doesn't have any base markings like your one does, I know that it's the same thanks to kirean1. I've tutu'ed with your photo of the backstamp but not with much success. I will sort out Jim's mustard when I get time, do we have one with a lid? I can't remember seeing one with a lid on the forum but I do remember photographing one a couple years ago at Rainbows Relics so probably have it on file with the other 11,000 unnamed pics. I have also done the tutu with the stamp and had no great luck. I will have to try different lighting situations. It will help to know what it actually says when I pull out one of my Cook Serves with the Gibpat stamp as I think they are similar. There may even be a date buried in there as it's vit. I will try UV on it at one of the local 2nd hand shops. Reminds me we have at least one Gibpat stamp missing from gallery and at least one different Cook & Serve too. The blue one that I won was sent on the 27th May and it still hasn't arrived bah humbug! That doesn't sound good Ev. They were a bit slow getting mine out but once sent I think it was only two days. I think in all my years on trademe and ebay there was maybe one or two items that didn't eventually arrive. Lots of breakage but at least they got here. I found a White 3614 Individual Sugar at the Matakana Markets yesterday during the Clayathon trip !! There was a stall devoted to mainly Crown Lynn and I would have liked to have spent more time there.